Mixcloud show “Notes/Guests From Chaos” by Thomas Chavales . Thanks Thomas!! Nozomidoori And Red Ocean and Sound E-scape. This upload was 68th in the #experimental chart and 97th in the #ambient chart. 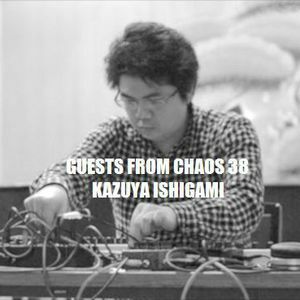 Kazuya Ishigami is a Japanese composer, sound designer, sound performer and sound engineer in the field of Electro-acoustic/Acousmatic/Post-Acousmatic/Ambient/Noise etc. He learned electro-acoustic music composition at INA-GRM in 1997. He runs the independent labels “NEUS-318” and “KYOU RECORDS”.